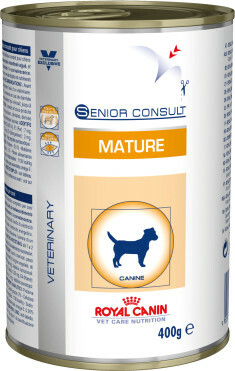 Aimed at improving key functions in ageing dogs: supports ageing cells via neutralisation of free radicals (polyphenals associated with a patented synergistic antioxidant cocktail); preserving kidney function (reduced phosphorus); and supporting brain health (Phosphatidylserine & L-tryptophan). 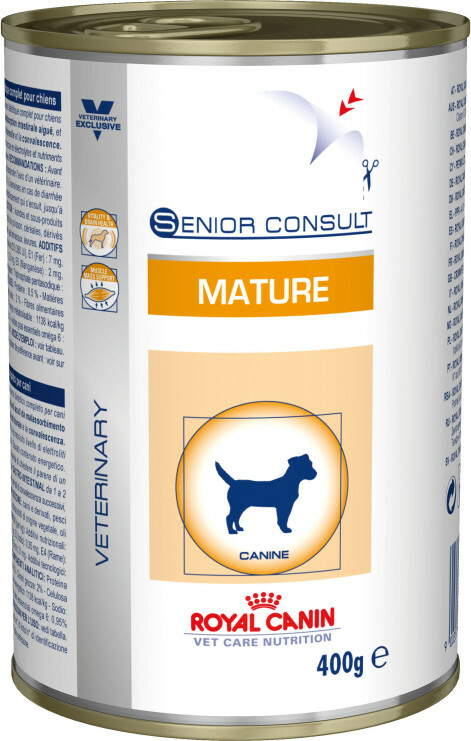 An optimal amino acid profile; focused about the inclusion of leucine as a branched chain amino acid stimulating muscle growth and countering age-related sarcopaenia. Poultry meats, pork meats, rice, corn gluten, cellulose, fish oil, minerals, tomato powder, calcium caseinate, taurine, L-carnitine, soya lecithin, marigold meal (rich in lutein), green tea powder (source of polyphenols), trace elements (including chelated trace elements), vitamins. Crude ash: 1.3%. Crude fibre: 1.6%. Crude oil fats: 5.5%. Moisture: 76%. Protein: 9%. Vitamin D3: 110IU, E1 (Iron): 10mg, E2 (Iodine): 0.05mg, E4 (Copper): 0.3mg, E5 (Manganese): 3mg, E6 (Zinc): 30mg. Preservatives - Antioxidants.